Geographically, Tibet lies at the elemental beauty of the highest plateau on the earth. So, it offers wonderful views of some of the world’s highest peaks on the planets with the stunning walks around them. 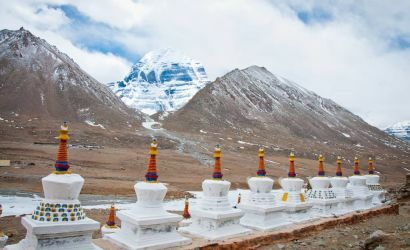 As the country as a whole is enriched by Buddhists culture, the journey to Tibet will be more than a tour. Magnificent monasteries, prayers halls, remote cliffside, pristine lakes and spirit mountain views which makes our journey truly spiritual. Tibet is among the most likable countries that you will go through your lifetime.